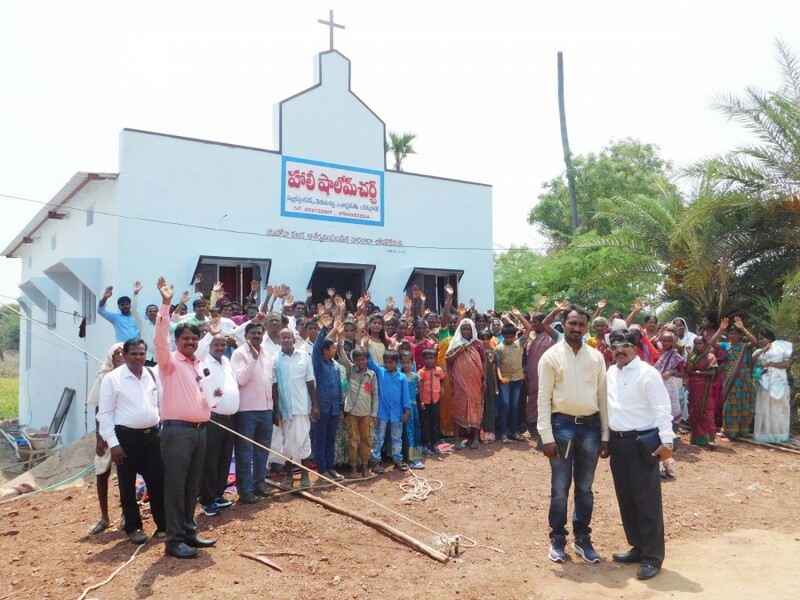 On April 13, 2018, India Gospel League Pastor Danny Stephens dedicated a Life Center in Choppandi, India—a cluster village of Katnapally—on behalf of Hope Church. Hope has supported the village of Katnapally through India Gospel League’s Adopt-A-Village program since 2016. The five-year sponsorship allows the local pastors to address holistic and spiritual needs through sharing the gospel, setting up education programs, literacy centers, health training, women empowerment programs, job training, and other holistic services needed in the village. Nearly 98 believers including pastors and the coordinator gathered for the dedication. Rev. Rajah Daniel Stephens offered a prayer and opened the church building for the glory of God. The entire congregation entered the church with songs of thanksgiving. As Rev. Stephens unveiled the plaques the entire congregation praised the Lord. Pastor Shanthikumar led the congregation in powerful worship. Pastor Timothy read from Acts 2:42-47. Rev. Stephens shared the Word of God from Acts 2:42-47 and encouraged all the believers to have the same seven unique characteristics of the early church: Bible-centered, unified, praying, Spirit-filled, sacrificial giving, praising and constantly growing. Through this powerful message, he challenged the believers and the pastor to move forward by keeping the early church as their role model. After the message, Rev. Stephens prayed for the pastor’s family, for the protection of the church building and for the blessing of the congregation. The church dedication service came to an end with prayer and a benediction from Pastor Shanthi Kumar.